Submitted by ESN Obuda on 19/03/2017 - 00:58. One of our biggest event got a big success. 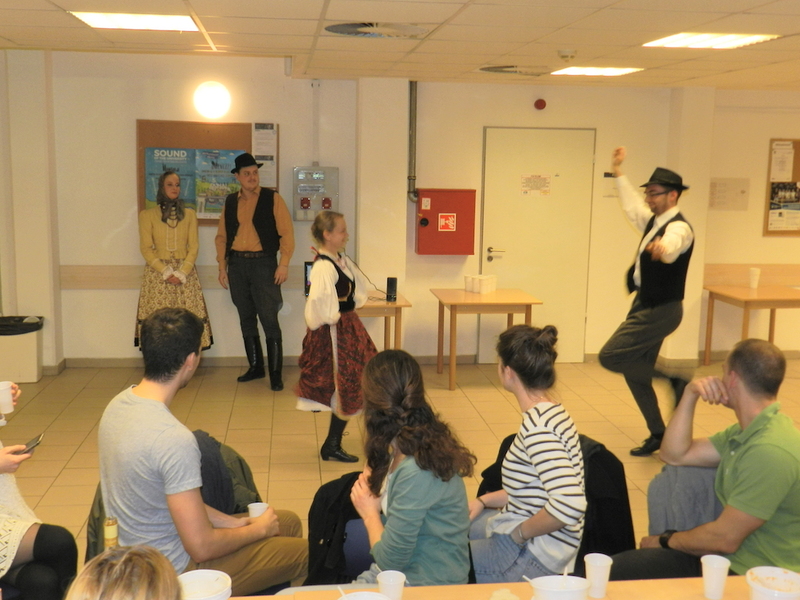 It’s Hungarian Night where we showed to our students, how Hungary really is. Students arrived as hungry as they could and had a good dinner together while our stories were told to each other. We are glad that we could welcome students from ESN IBS and ESN Semmelweis too. After the delicious Peasant-breakfast, Goulash soup, Paprika-potato and desserts We asked some questions about Hungary and we realized that everybody knew a lot of things about us already. Then our surprise arrived, the Hungarian folk dancers who gave us an amazing performance. Before the awesome afterparty, everybody felt the mood of the Championship of “Froccs-pong”. There were some disappointed faces also but naturally, always the best team wins. No worries, there’s going to be many more rounds, and you can fight back. See You soon!